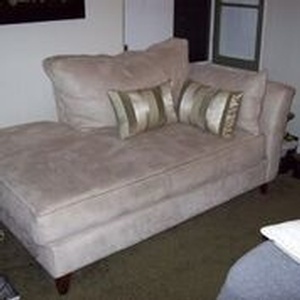 This cozy chaise is covered in a soft neutral beige ultra suede fabric. It is 64" x 40" A great piece, as is, for any room. There is only one of these in stock.